Customers can pay down payment upfront and later can disburse the remaining installments. 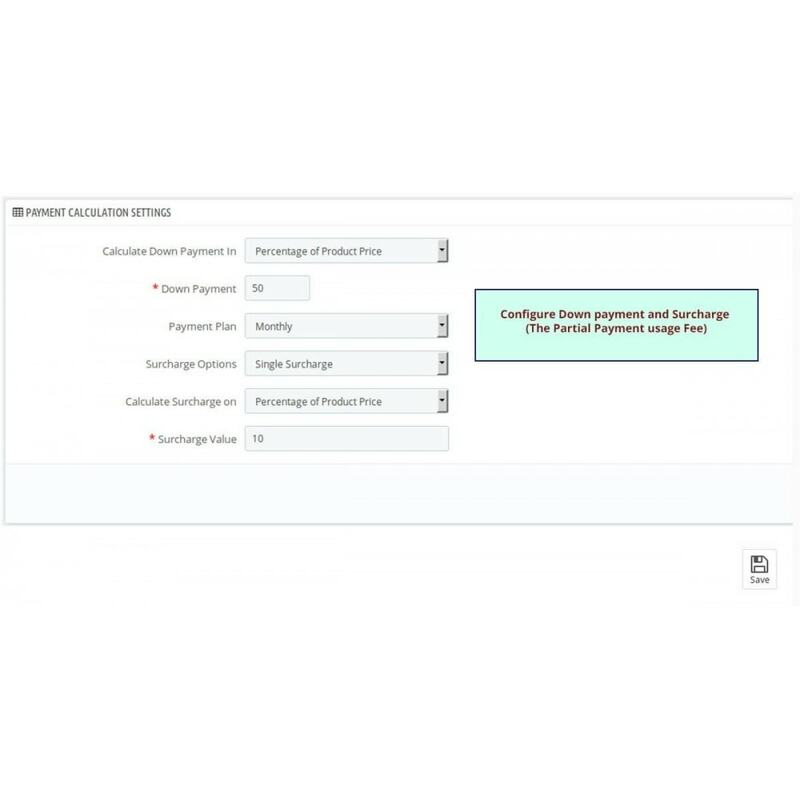 Set number of installments and payment schedule from backend. 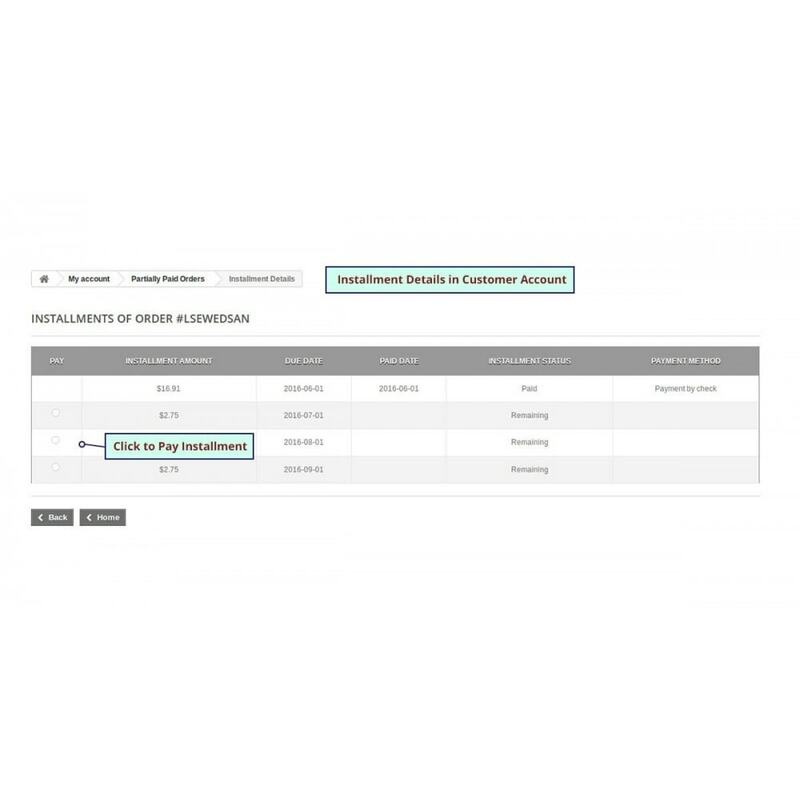 Set down payment in percentage (%) or in fixed amount from backend. 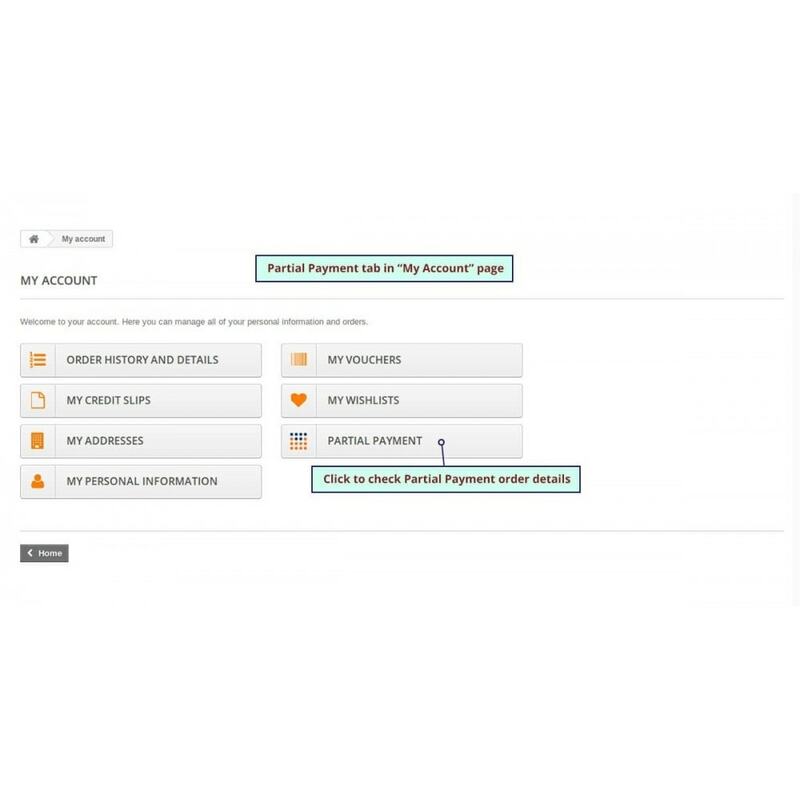 Create multiple payment options from backend that helps customers to select best convenient option for payment. 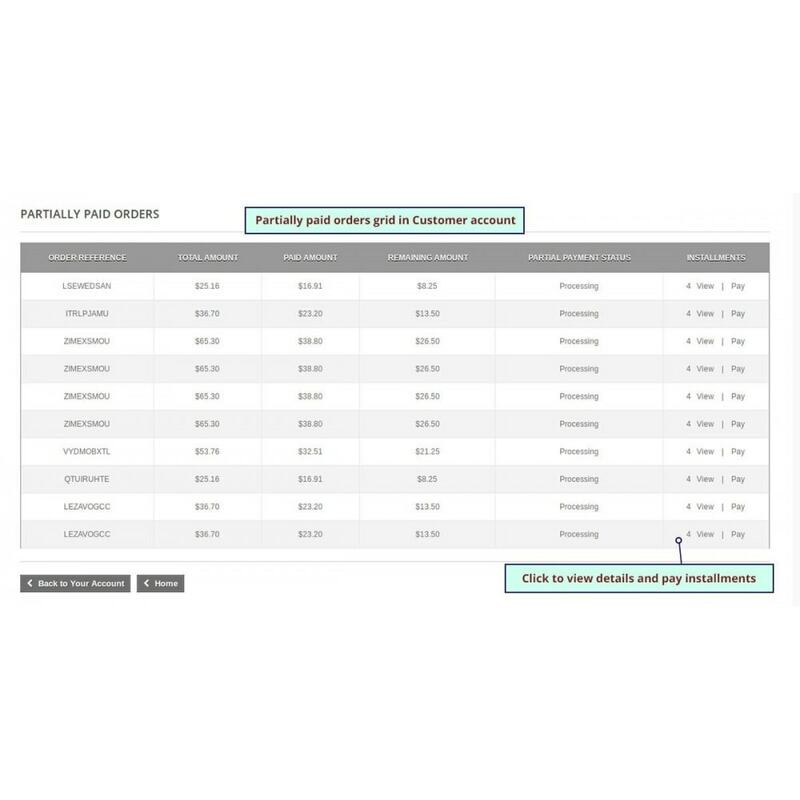 A dedicated grid is available in backend for admin to manage partially paid orders. 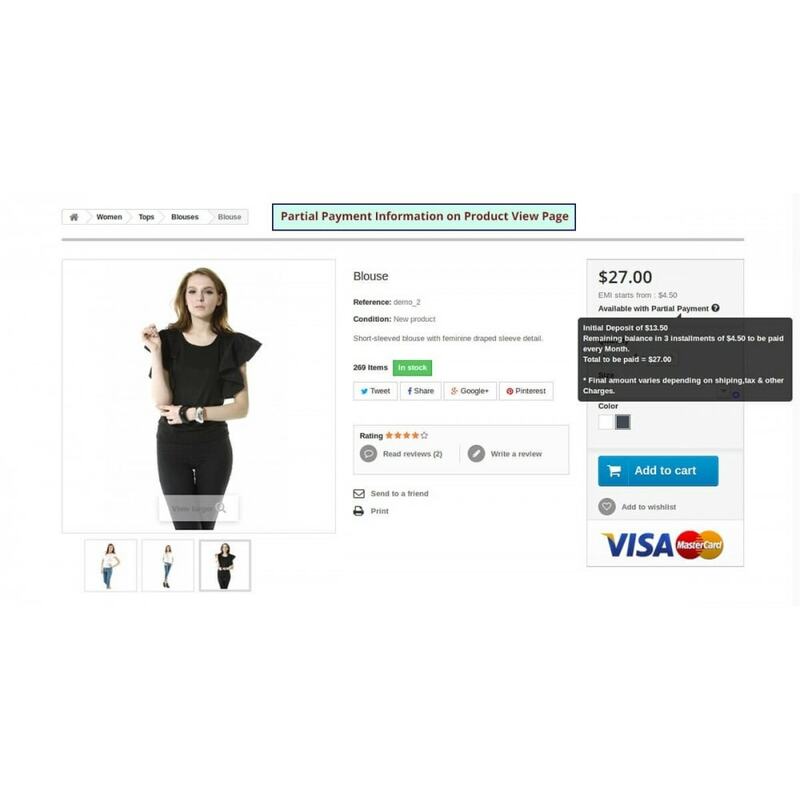 Customers can pay installments by manually logging to their accounts on concerned store and also can track installment details. Set the schedule of the installments in plans of days/weeks/months, which buyers follow to pay the remaining amount. Installment Remainder mail: a “ping mail” for buyer for the next installment. Set days to send Installment payment reminder mail before due date of payments. 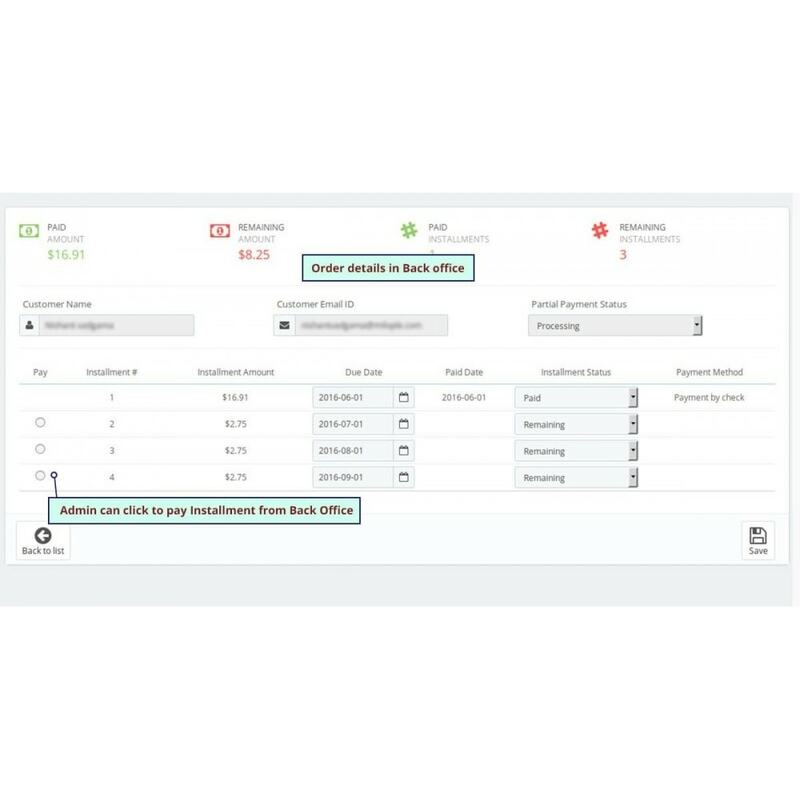 Admin can pay installments of customers from backend. Admin can select Registered, Guest or specified group of customer for partial payment available. 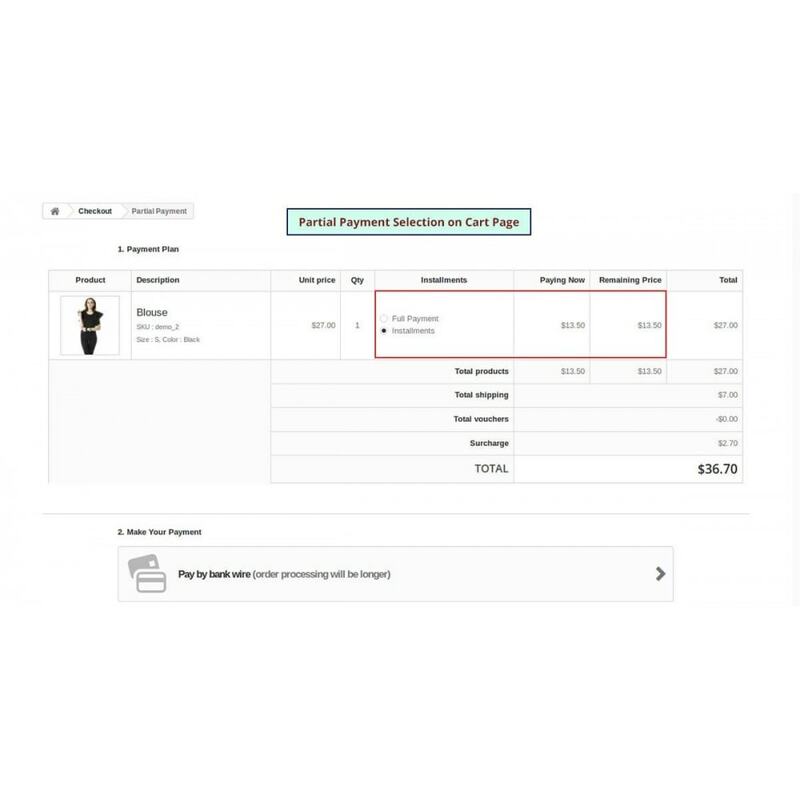 Admin can select Whole Cart Option in Apply Partial Payment to calculation does based on whole cart. 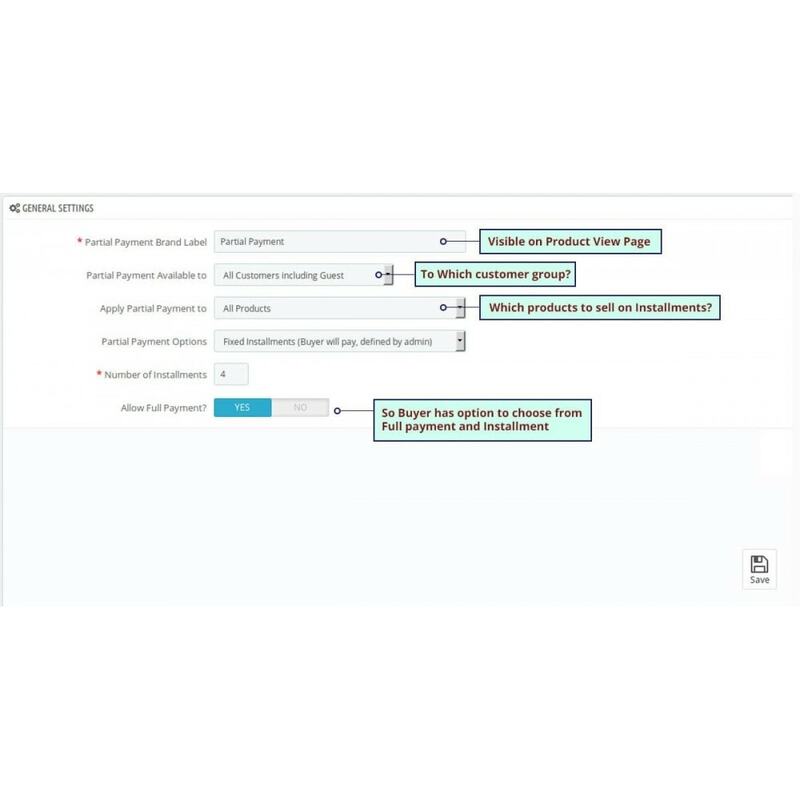 Admin can select surcharge enable/disable as well surcharge value in amount/percent. 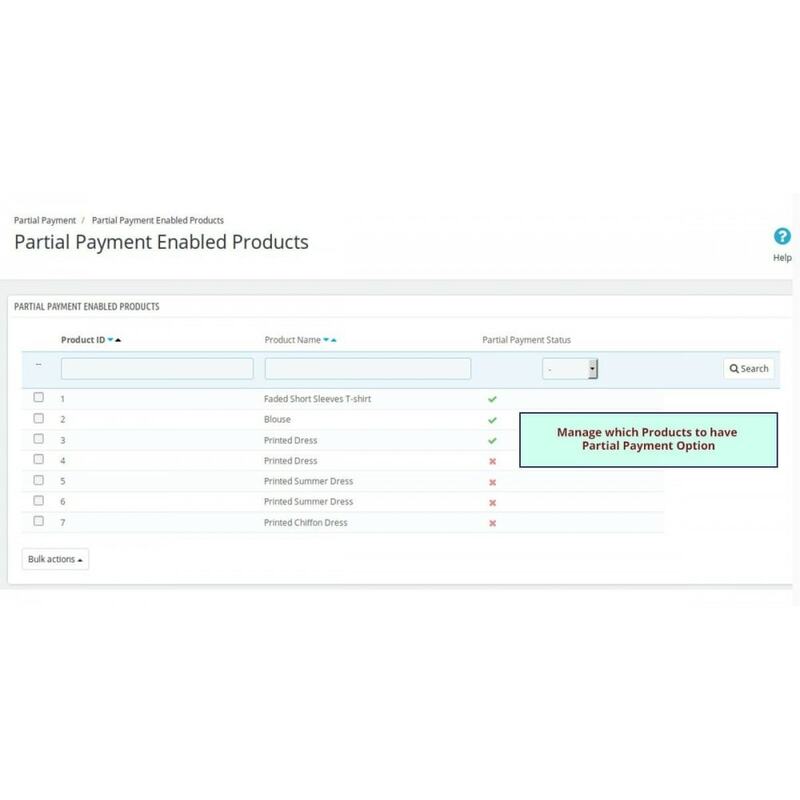 Admin can set credit limit for customer to buy meximum with partial payment option and exceed message. 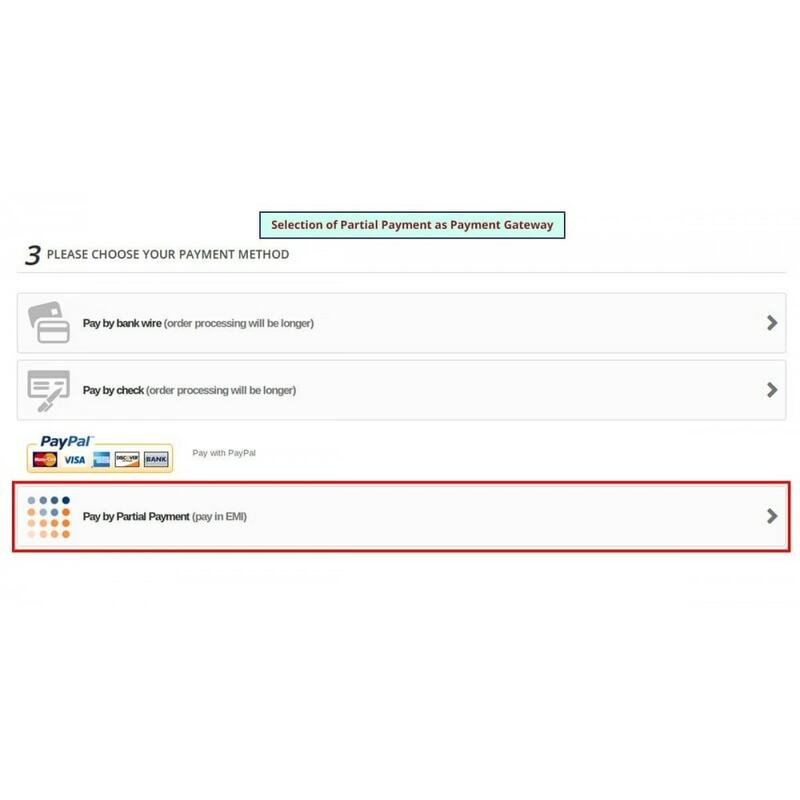 Admin can set pre-order discount on pre-order products with partial payment. Very easy to manage expenses. Make more purchase without any financial limitations. 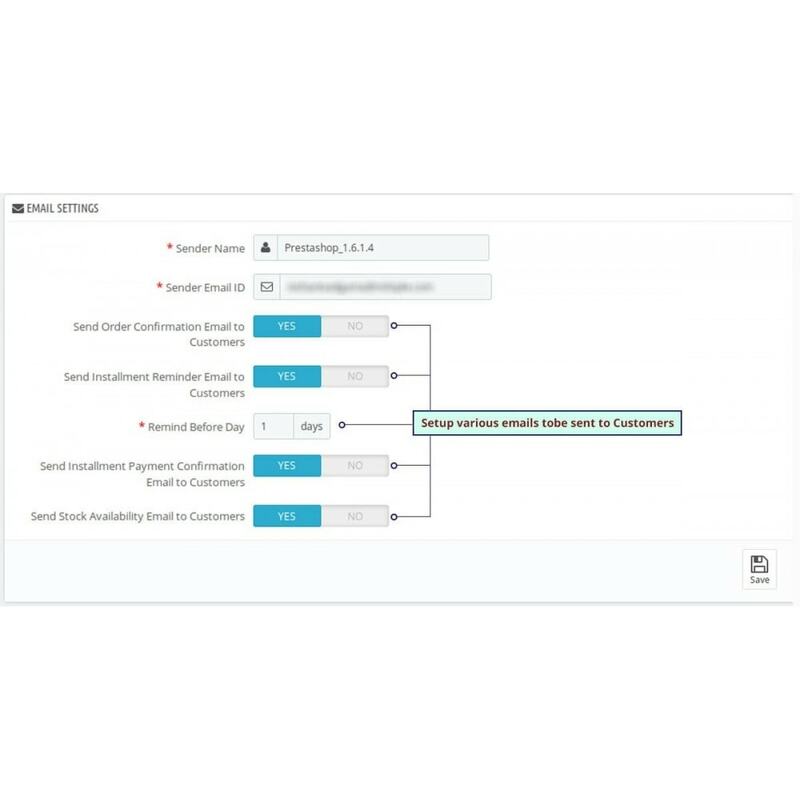 Easy to track installment details from “My account” section. 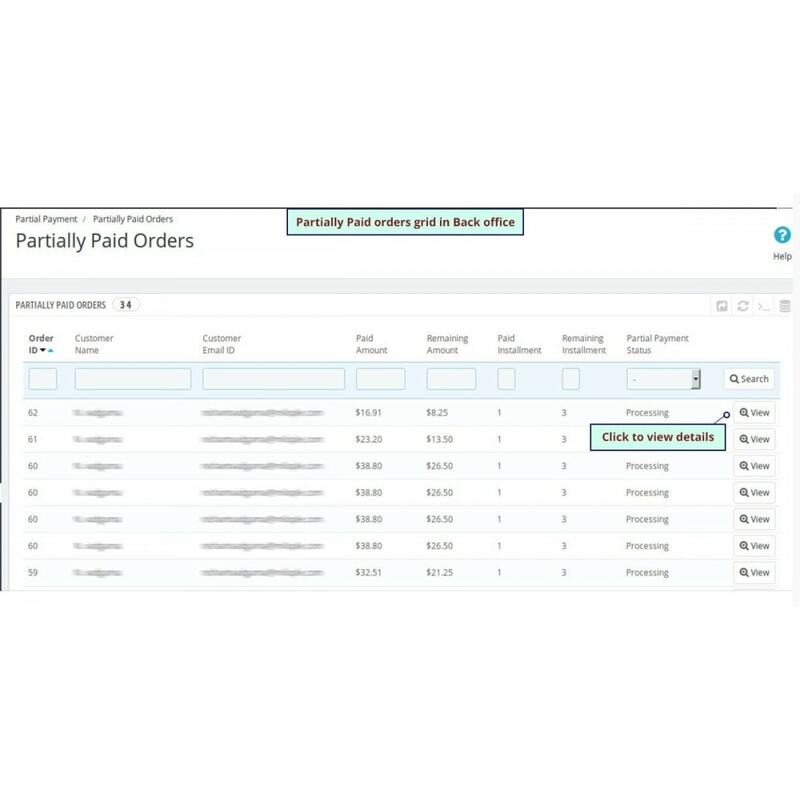 Customers are reminded automatically via emails about their remaining installments.